Greg Moffatt Knives’ new Can Opener Pikal is about as simple and straight forward as you will find when it comes to reverse edge knives. The straight handled design is a compact 6″ in overall length terminating in a 2″ sharpened edge. The Can Opener is made from 1095 steel with a Cerakote finish and cord-wrapped handle. It comes with a kydex sheath set up for static line carry. 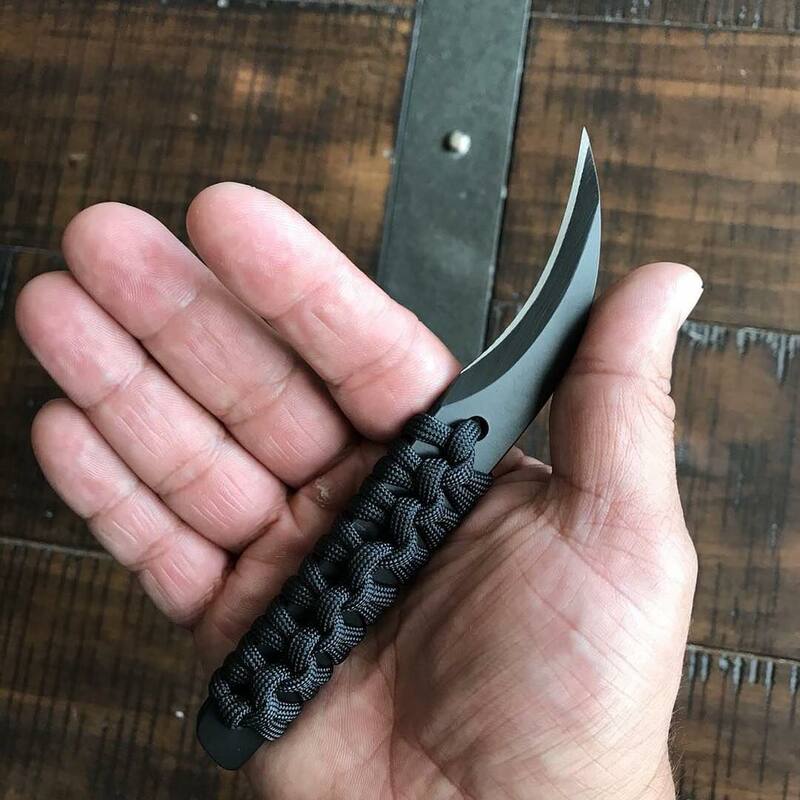 Given the clever simplicity of the design, it shouldn’t come as a surprise that it is one of the most affordable pikal knives available, custom or production. This is especially true when you consider that it comes ready to static line to your belt and go. Greg Moffatt Knives sells these for $110. The initial run sold out quickly but there is a new batch on the way soon. Keep your eyes on GregMoffattKnives.com.